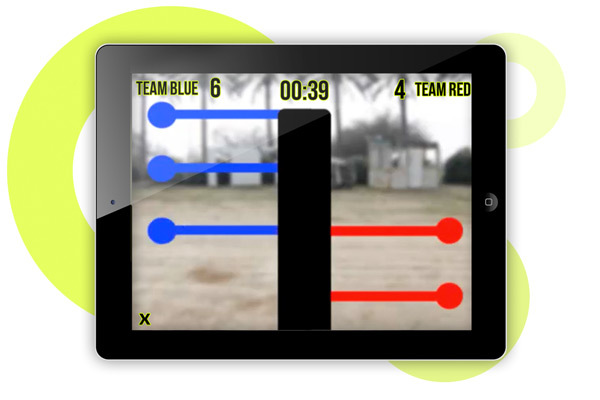 Liran Erez decided to fire back at what he deems the lame-ifying of shooter games with the advent of touchscreen apps. His SNIPE Dart Blaster and free SNIPE apps...no, the darts aren't going to F up your screen...introduce to smartphones and tablets the more immersed feel of holding a weapon and firing at a target popularized by video and computer games. And also I guess by shooting at things in real life. 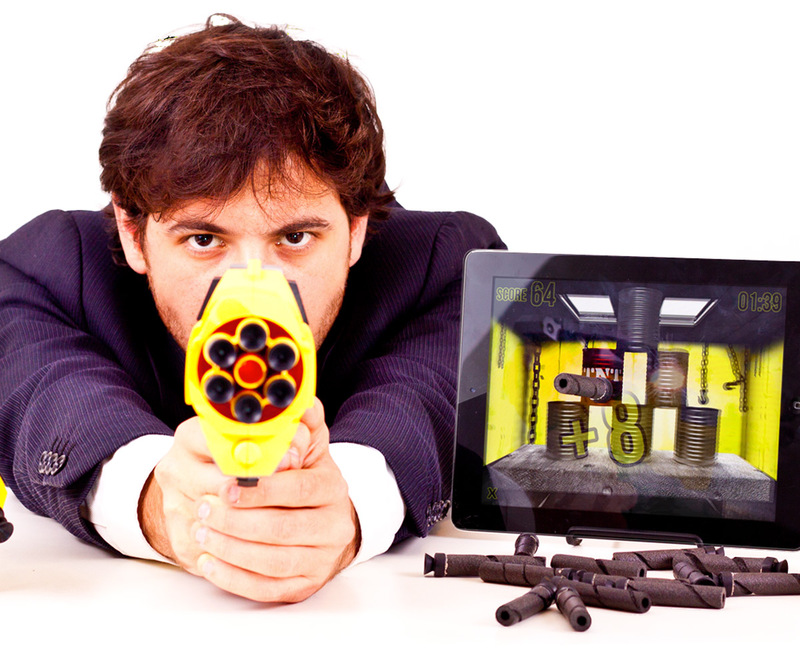 The concept is simple: load a SNIPE or other commercially available Blaster with SNIPE Touch Darts...no, the darts aren't going to F up your screen...cue up one of the company's (expanding) library of target shooting apps, and let the touchscreen games begin. SNIPE is a cross-platform system, compatible with iOS, Android, and Windows Phone so you'll be able to...no, the darts aren't going to F up your screen. Well actually, I can't say for sure whether or not the SNIPE Touch Darts will crack or otherwise mar your touchscreen. But I can say that the above video of SNIPErs shooting them at an egg from 0.2 to 4 meters away without causing so much as a chink in the ovo-armor makes Erez's contention of 100% touchscreen safety pretty convincing. So do the laws of physics, which project that due to the SNIPE Touch Darts' light weight and super-soft tips, their impact force cannot exceed 0.05 Newton, which is 20 times weaker than the weakest commercially available touchscreen's resistance capabilities. Another inquiring minds inquiry about touchscreen dart-firing: how the hell does a foam tube with a suction cup on one end replicate the effect of my pointer finger when it hits? The answer: more physics! 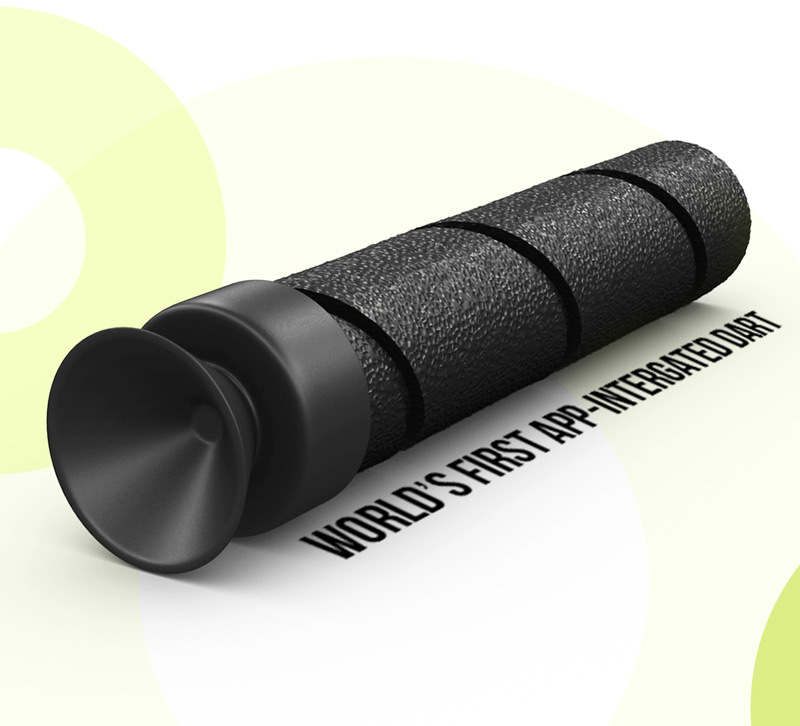 SNIPE Touch Darts' foam tubes are made of an electro-conductive material and their rubberized suction cups are touch-reactive. Combined, these properties convince your screen the dart is a stylus or human extremity. In addition, SNIPE has added tiny air pores to the suction cups so that they will stick to a touchscreen for less than 2 seconds before falling out of the way for the next round of fire. Darts are intended to be distinguishable from all other foam darts and extremely durable. Presuming use of the right blaster, they have a range of up to 30 feet. 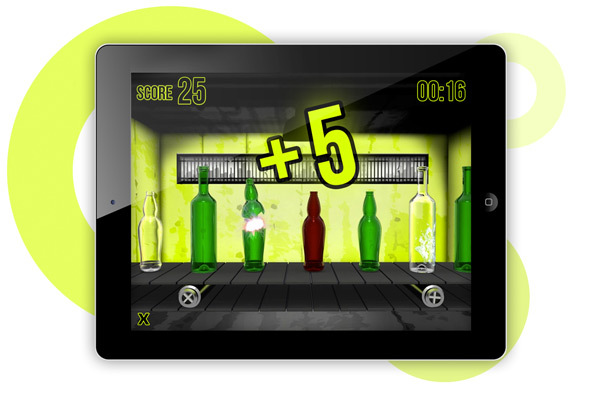 SNIPE apps allow players to destroy can pyramids, shatter moving bottles, go head-to-head on accuracy with a friend, or just practice foam shooting skills. Pledge for your SNIPE Dart package on Kickstarter through July 25, 2014.